There are a lot of skills required to sell any product. 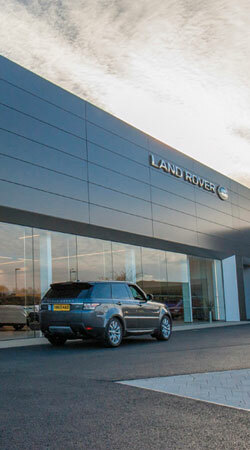 Selling prestigious Jaguar Land Rover vehicles, however, will require extensive product knowledge and a passion for the brand. The ability to qualify the desires and needs of a customer, negotiate a fair price and the confidence to present an offer will be taught through this unique training opportunity. The Apprentice Programme will help you to gain a broad range of skills used in a fast moving sales environment within one of our Jaguar Land Rover Retailers. You will learn how to quickly identify a customer’s needs and interests, promote the features and benefits of vehicles and negotiate sales. The skills attained on the programme will last a lifetime. The Vehicle Sales Apprenticeship Programme is geared toward training the right candidate to become a qualified Vehicle Sales Advisor. But what does a Vehicle Sales Advisor actually do? The Vehicle Sales Advisor role varies slightly by employer based upon the specific needs to the location. The below explanation is therefore a guide to support you in understanding what the role might entail. In larger organisations you may work as part of a team, specialising in one aspect of selling. In smaller organisations you may be responsible for all aspects of vehicle sales. All of our Apprentices are employed through the Retailer Network and attend week long block training at one of our state-of-the-art Academies in either Warwick, Kingston (Milton Keynes), Halewood (Liverpool), Staverton Hall (Daventry) and Lagta (Glasgow).